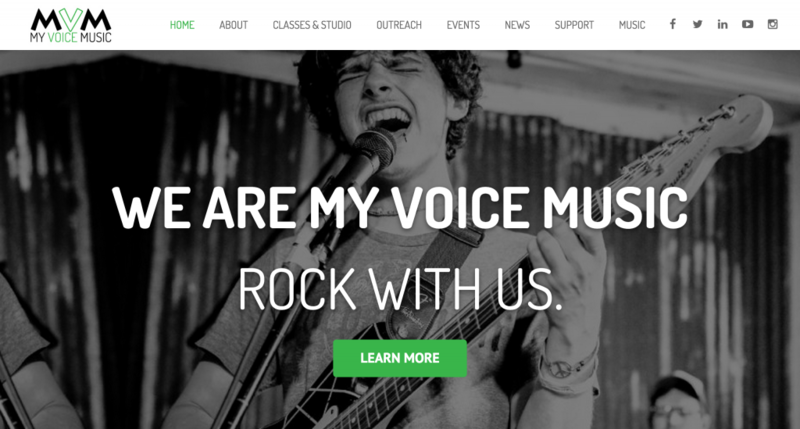 We have watched and supported the incredible team at My Voice Music as they have grown from a spark of an idea for helping marginilized youth to a full scale non-profit music center where students of all ages and backgrounds can gain access to music education regardless of background or financial abilities. As the organization grew, their old website was no longer representing the wide array of services and impact they have on the community. They came to Collage Creative looking for a site that made it possible for the user to wade thru a tremendous amount of information easily and intuatively and engaged their audience to either enroll in their services or support them through donations and volunteerism. We think the results are an excellent example of clean modern design and functionality while still providing tons of great information and resources. This entry was posted in development, project management, user experience. Bookmark the permalink. ©2009- 2019 Collage Creative. All rights reserved.